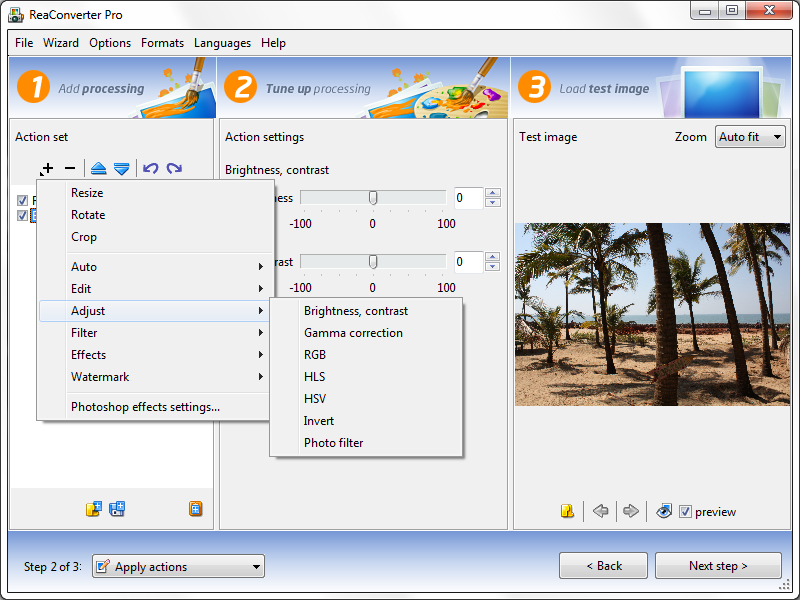 The ICC profile contains information about the use of color pixels within the image file, including details such as the color gamut (the set of colors that the image will show), the lightest and darkest tones, or how these tones are dispersed and combined throughout the image. Moreover, ICC profiles contain information about the devices used to capture, handle and print image files. In fact, the color capacities of any camera, scanner or printer can be described accurately through an ICC profile, following the standards established by the International Color Consortium. 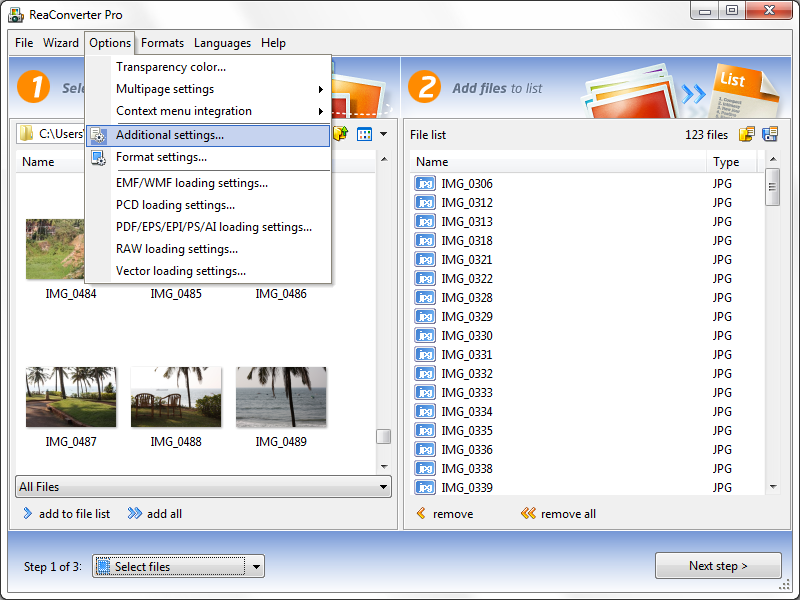 After a quick and easy installing process (which you can start on www.reaconverter.com), ReaConverter lets you select the entire group of images you need to convert and add it to the conversion list. Next, decide what kind of actions you want to apply to your images. 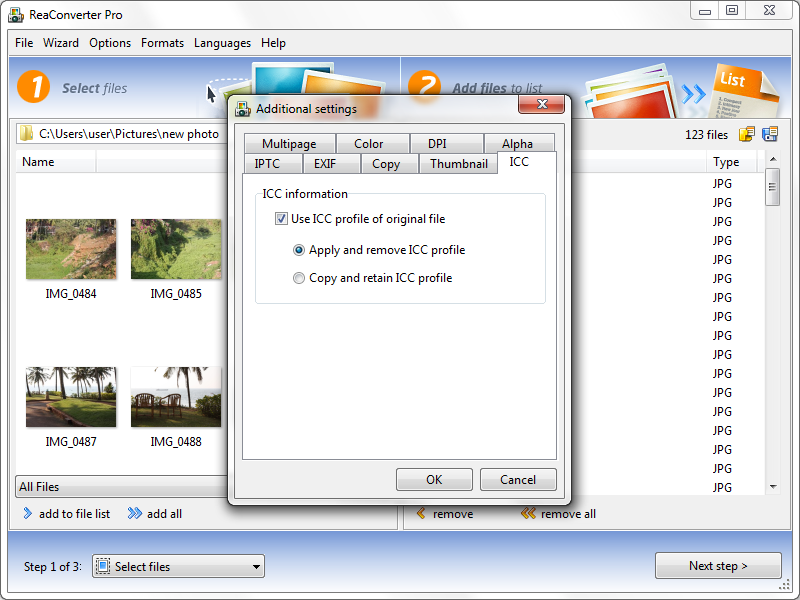 If you want to use the ICC profile of the original file, go to Options → Additional settings → ICC and tick on the appropriate box. Consequently, you will be able to opt for applying and removing the ICC profile, or for copying and retaining it. 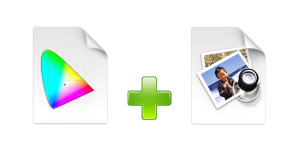 The second step in the conversion process also allows you to opt for a wide range of image editing actions. 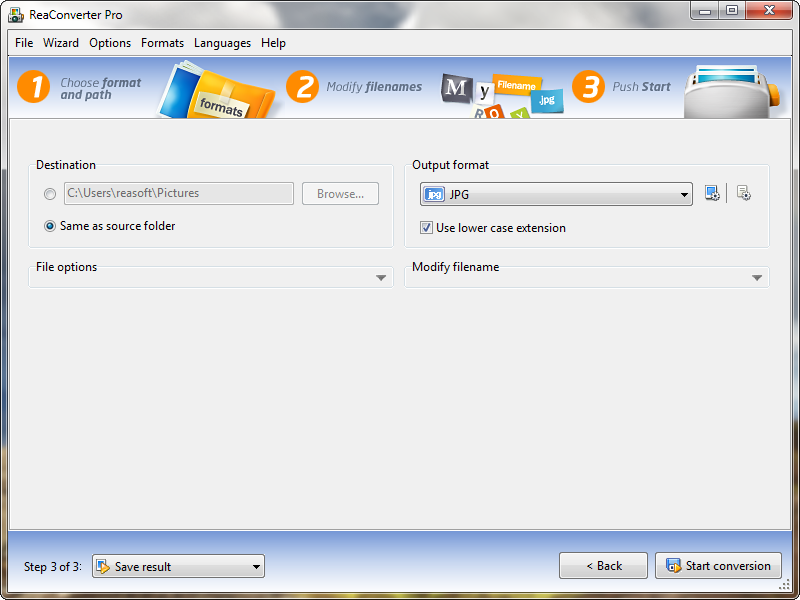 Here you can adjust brightness and contrast, add a photo filter or a text/image watermark on all output image files. 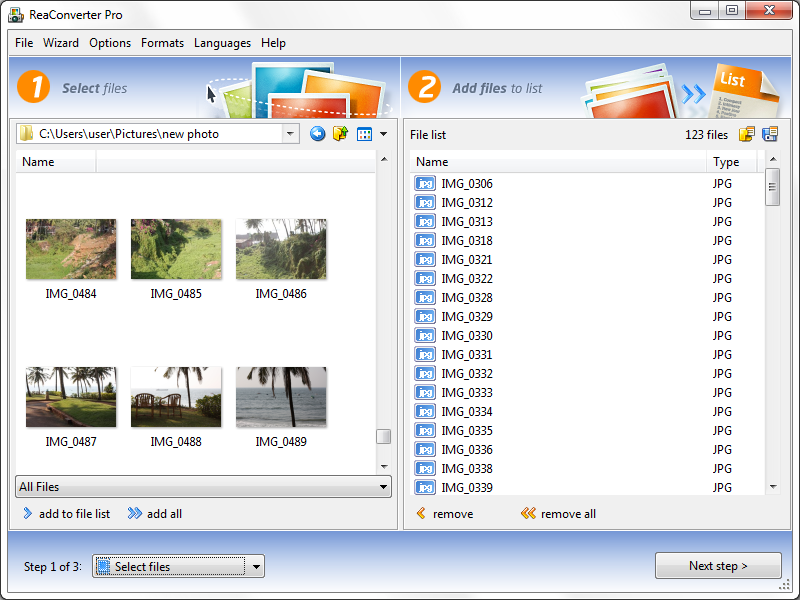 Last but not least, choose the destination folder where you want to store the converted images (and ReaConverte provides you with a handy button here, that lets you choose directly “Same as source folder”) and the extension of the output files. JPG, PNG, BMP, TIFF and GIF are among the options, but so are many others. Explore the list, pick your favorite and start the conversion. Your new files will be ready to use in no time!